Precision Machining Services |Precision Machining of Ceramics, Quartz, Tungsten & Molybdenum | Top Seiko Co,. Ltd.
With that motto, Top Seiko has specialized in ultra-hard materials such as advanced ceramics, glasses, refractory metals, and newly developed high performance materials like composite materials. Based on the machinability characteristic of each material and the complexity of the shape of the part, we determine the most suitable manufacturing method using physical and chemical approaches. We are also an expert of designing machining tools that can maximize the productivity while maintaining the highest quality of products. Most of these tools are produced by tool-manufacturing companies according to our specifications. If not, we make them by ourselves. We are continuously researching and investing in new technologies in order to deliver highest quality machining services to our customers. In addition, we regularly carry out test machining to collect data to expand our capabilities even further. With latest technology such as Linear Motor Drive High Speed Milling Center and 5-Axis Machining Centers, Top Seiko offers precision custom machining service for ultra-hard materials. We specialize in complex and precision machining of complicated contoured shapes, slots, grooves, trenches, steps/raised shapes, counter bores, threads, straight/tapered holes, etc. in Ceramics, Glasses and Refractory Metals. 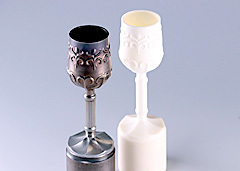 3D machining service is available for Ceramics and Molybdenum. “Tackle machining challenges logically by physical and chemical approaches.” is our motto. 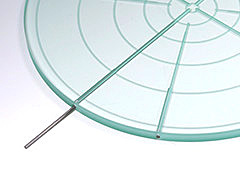 As an industry leading supplier, we are able to provide high precision and micro machining services for a wide variety of exotic hard materials. With our deep knowledge about these materials, cutting-edge precision machines and tools, experienced engineers, and well-trained machine operators, we fabricate custom machined parts to micron accuracy. We also have measuring equipment which allows us to guarantee the dimensional accuracy of each machined part. Hole-drilling in hard materials is our specialty. 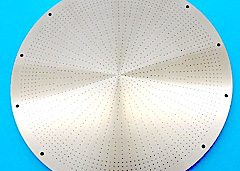 Precision holes, micro holes, and multiple holes can be machined in ceramics, glasses and refractory metals such as tungsten, molybdenum and tantalum. 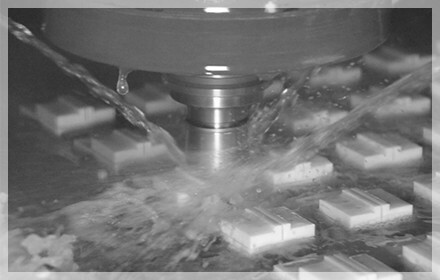 We design machining tools to drill holes precisely according to your requirements. Just let us know the diameter, depth, tolerances etc. of the holes you need! The keys to success in deep hole drilling are; 1. Keep the drill straight, 2. 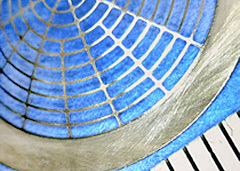 Flush chips out of the hole and avoid chip accumulation at the bottom of the hole. And we know exactly how to do them!